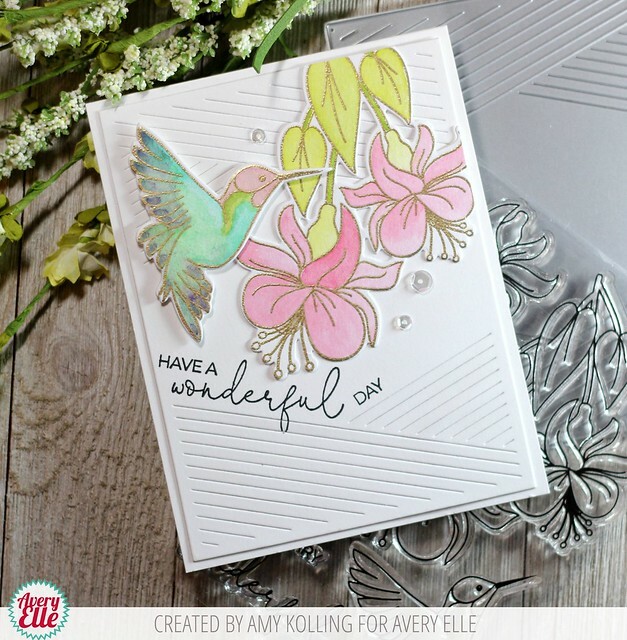 Amy Kolling here today sharing a card using the new Hummingbird stamp set. 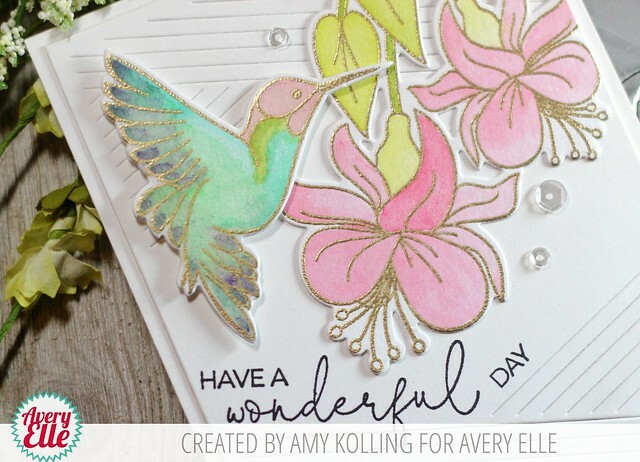 I started by heat embossing my main elements using Avery Elle Gold Embossing Powder onto Tim Holtz Watercolor Paper. 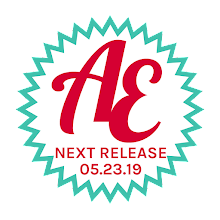 Using the Avery Elle Liquid Watercolors, I watered them down and using a waterbrush, I watercolored the images using several layers in some areas. I added my images to a panel of cardstock that was cut with the Hatch Mat Elle-ments. This die leaves the perfect spaces to stamp your sentiment! I love the angle look! Your hummingbird seems to be suspended over those heavenly flowers. Beautiful! These soft colours are just gorgeous.